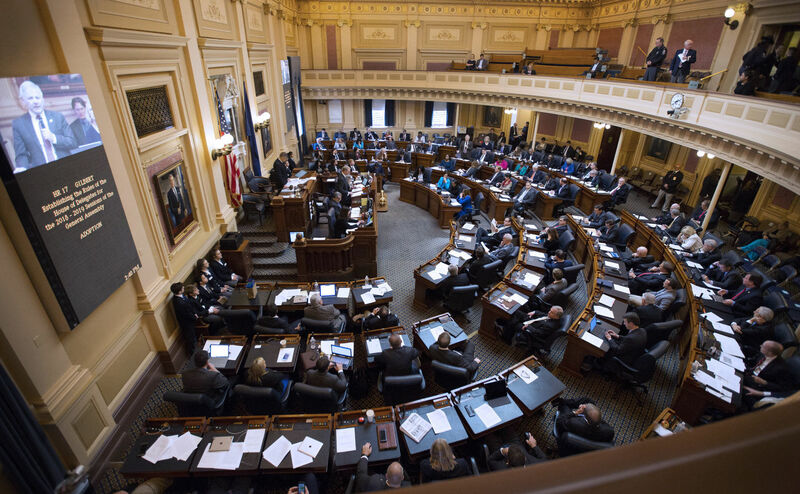 Last month, Virginia’s work on the Commonwealth’s biennial spending plan budget came to an abrupt halt due to the inclusion of provisions for Medicaid expansion. In short, the Republican House supports expanding Medicaid whereas the Republican Senate does not. As a result of the split GOP support, the regular session was adjourned and no budget was passed. Virginia Governor Northam (D) urged legislators to deliver as soon as possible. He warned that if a proposal was not drafted and on his desk in the near future, he would submit a budget that expanded Medicaid without some of the compromises made with Republicans; such as, imposing co-pays and work requirements. McAullife’s budget was rejected last December. The failed budget proposal had provisions for Medicaid expansion without conditions like work requirements or co-pays. In an effort to help low-income citizens, Governor Ralph Northam followed through on his warning and introduced his proposed budget this week. He will present it to the Virginia General Assembly on April 11. According to the governor, the proposal reflects McAullife’s plan but it will also include an amendment designed to invest in a revenue reserve fund. Under Northam’s budget, Medicaid expansion would be available to almost 400,000 citizens. As a result of savings from the expansion, investments could then be made into workforce development, opioid addiction prevention, education, mental health services, and increases in pay for state employees. Furthermore, the amendment would direct revenues that exceeded those forecasted in the budget to a revenue reserve fund. This investment would serve to give the state additional financial security in economic downturns. Medicaid’s landscape continues to be a focus among Virginia’s legislators in 2018. Due to the disagreement among Republicans and Northam’s most recent proposal, it is not clear if Medicaid expansion will take place or if there will be work requirements and other conditions for eligibility. Lawmakers will reconvene in a special session on April 11 but if they do not pass a budget, Virginia would have its first government shut down.